Samrath Bedi, Executive Director, Forest Essentials India, talks to BT More about the brand's ethos, journey so far and what it takes to become an entrepreneur in a crowded marketplace. Real beauty may be skin deep but there's no denying the need for a little help. No one understands this better than Samrath Bedi (41), Executive Director, Forest Essentials India who began his career with Standard Chartered Bank in New York in 1999. 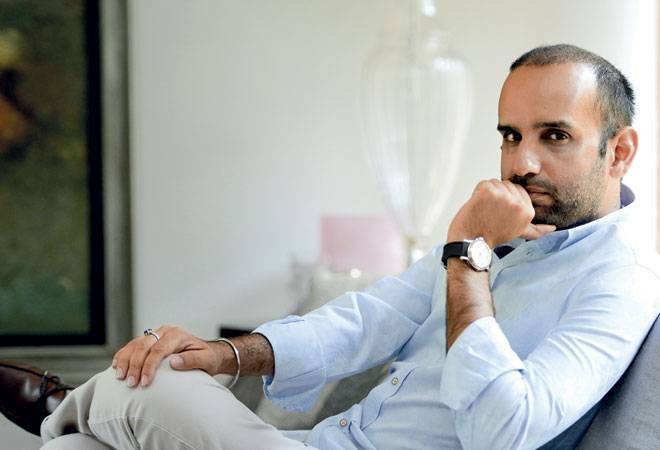 It was an unlikely transition to Forest Essentials, a luxury ayurveda brand conceived and launched by his mother in 2001. The brand is a pioneer in the luxury cosmetic space today, a fact further validated by its partnership with Estee Lauder in 2008, making it the first Indian brand in the global beauty brand's roster. No one sells authentic ayurveda better than him. In an exclusive, he talks to BT More about the brand's ethos, journey so far and what it takes to become an entrepreneur in a crowded marketplace. We use rare and precious ayurvedic ingredients including the sanjeevni herb known for its incredibly rejuvenating properties, aged cows' ghee with potent herb and root infusions, pure gold bhasma made into pastes with detailed ayurvedic processes for its firming and toning properties and heightening the lustre of skin. This makes our products truly pure and unique. At the time I joined Forest Essentials, it was a venture that my mother had started from scratch. Today it is a pioneer in the luxury ayurvedic segment and has become the quintessential Indian beauty brand where secrets of ancient beauty rituals for skin and hair care have been brought to life. We are now present in 38 standalone stores across 12 cities all over the country, in the most premium locations, with 10 more in the pipeline this year. "We are truly a Made in India brand and use traditional formulations to produce top-notch products." We are looking at international expansion in 2016 for which plans are now being worked out. What really works for us is that we are all about luxury and ingredients that are sourced with care and are of the highest grade and quality. We use traditional Indian formulations that are made entirely within the country. The best way to grow a brand is to ensure that you stay true to it and know what it stands for. On my part I have made sure that the brand sticks to two primary fundamentals-quality products and responsible growth. Along with the brand's growth, we have made sure that each stakeholder grows with us. Spend time with loved ones doing things you really enjoy. Get some exercise, a good night's rest and make healthy food choices. Meditation is a great option to calm your mind as is aromatherapy. Every essentials oil has its own properties, so lighting a burner with a few drops of scented oil to relax our energies is something that anyone can do. Yoga for an hour 3 times a week not only tones the body but also calms you.